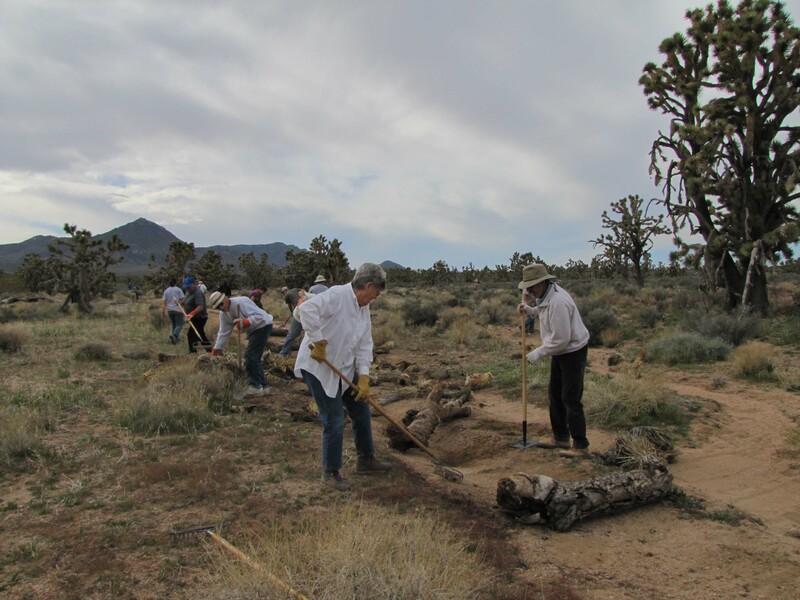 The Friends of Arizona Joshua Tree Forest is a dynamic volunteer organization dedicated to documenting, preserving and protecting the beauty of the Grapevine Mesa Joshua Tree Forest in northwestern Arizona. A National Natural Landmark (NNL) is a natural area that has been designated by the Secretary of the Interior to recognize some of the best examples of biological or geological resources in the nation. 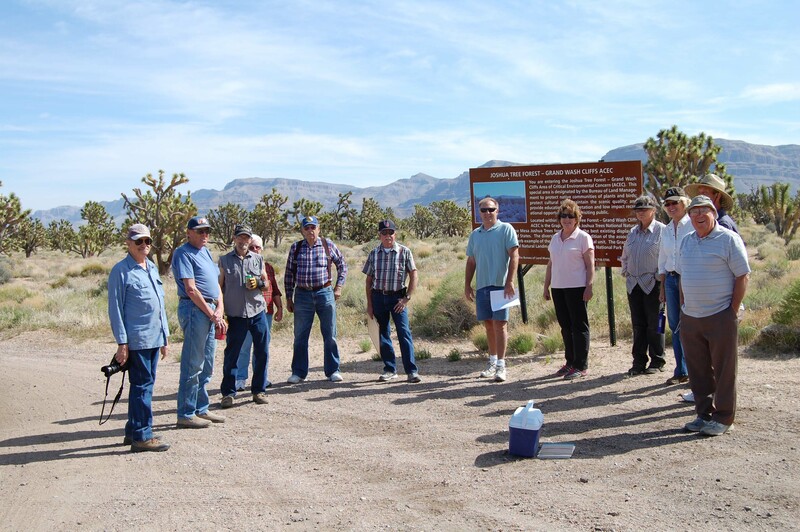 An Area of Critical Environmental Concern (ACEC) is an area of BLM administered lands where special management attention is needed to protect and prevent irreparable damage to important historic, cultural or scenic values. 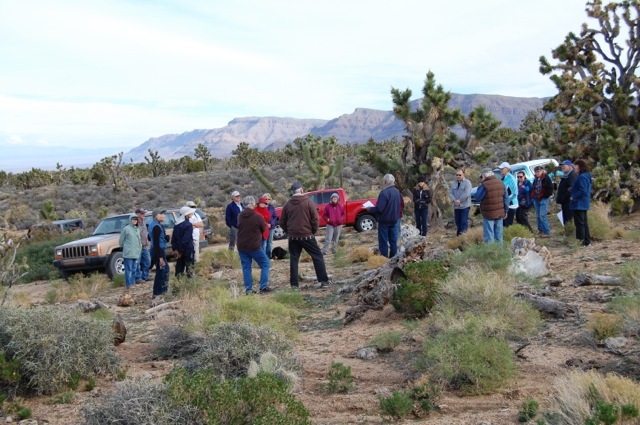 Our Board of Directors and volunteers have been working with the Kingman BLM office since 2010 to protect our Arizona Joshua Tree Forest, which is the largest and densest of its kind. We regularly monitor the forest for harmful changes and file monthly reports with BLM. We have coordinated a large group of volunteers for reclamation projects to help with re-vegetation by individually replanting native plants along an illegal road within the forest. We regularly walk the forest to look for evidence of any disturbances and to pick up trash. Also, we coordinated 40 community volunteers who filled three construction-sized dumpsters with trash from two illegal dumpsites. Outreach activities we have sponsored include tours of the forest, bird walks, hikes, and educational presentations to the community as well as film nights highlighting conservation film. We have also held several informational meetings with community members to encourage support for our efforts. We believe that educating the public about our Arizona Joshua Tree Forest will help in preserving this incredible area for future generations to enjoy and appreciate.